Booming The Alpharetta Economy, One Member At A Time. The Alpharetta Chamber of Commerce was established in November 2013 by a group of business leaders who wanted to build a business identity for Alpharetta. After a few years of strong growth the Chamber’s growth was being held back by an outdated brand identity and a severe case of “website shame”. We came in and really flipped that situation around for them. 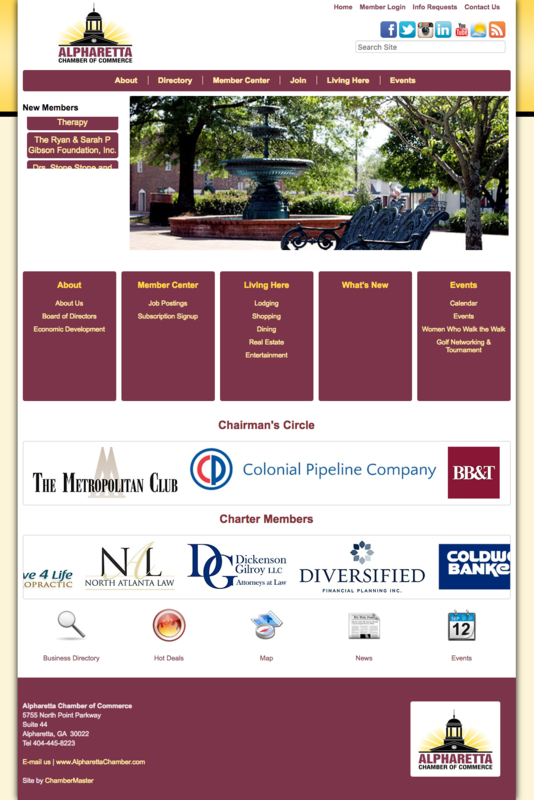 The most prominent challenge for the Alpharetta Chamber of commerce was a very outdated Brand Identity and Website that the executive director would purposefully not send people to because of severe (what we like to call) “website shame”. We knew starting from scratch was the only way to really revolutionize this membership community, so that’s what we did. 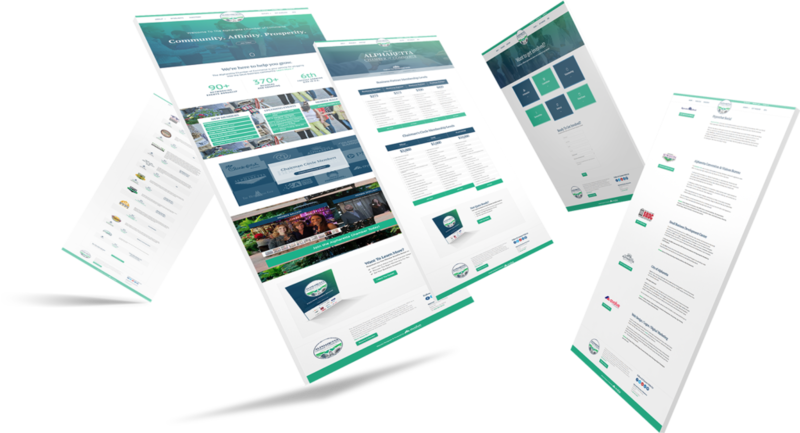 Approaching the website redesign with a blank canvas allowed us to really dig into the messaging, copywriting and overall design solely focused on the objective of increasing member engagement, member retention and of course acquiring new members. The before and afters really showcase the transformation.